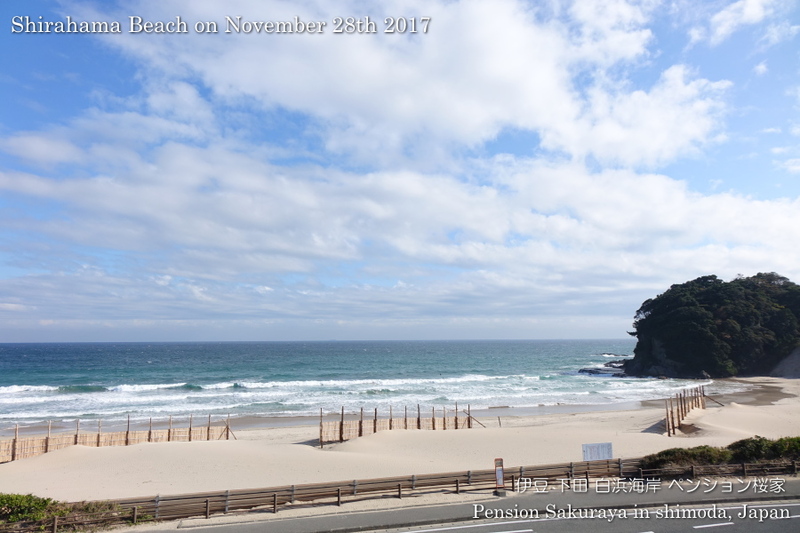 I took Nordic walk on the seaside road after a week. It was cloudy before noon, but the blue sky came back afternoon. 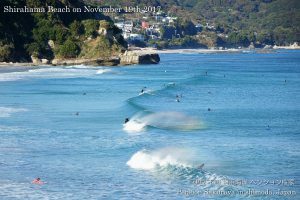 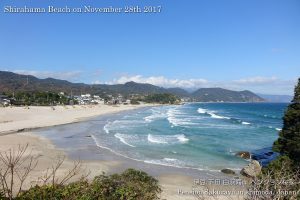 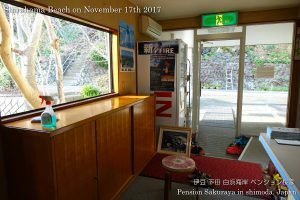 This entry was posted in beach on 2017年11月28日 by izusakuraya. It was beautiful day and we were able to see the Izu seven islands clearly this afternoon. 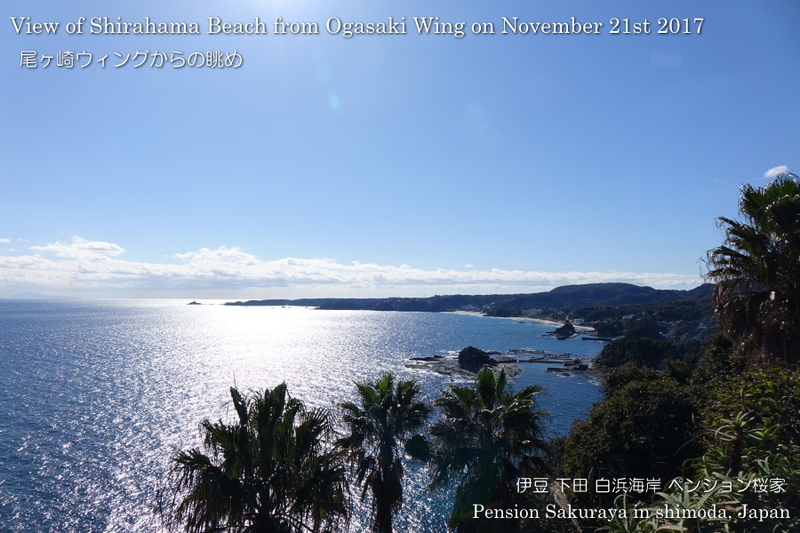 So I went to Ogasaki wing which is a good point of view in Shimoda and Shirahama Chuo beach located next to the nearest beach called Shirahama Ohama beach. 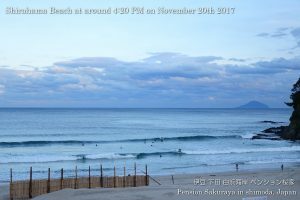 This entry was posted in beach, nature on 2017年11月21日 by izusakuraya. 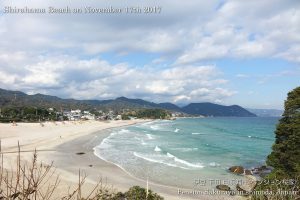 It’s getting colder day by day here in Shimoda. It was cloudy at around noon and I was not take good pictures of the beach. 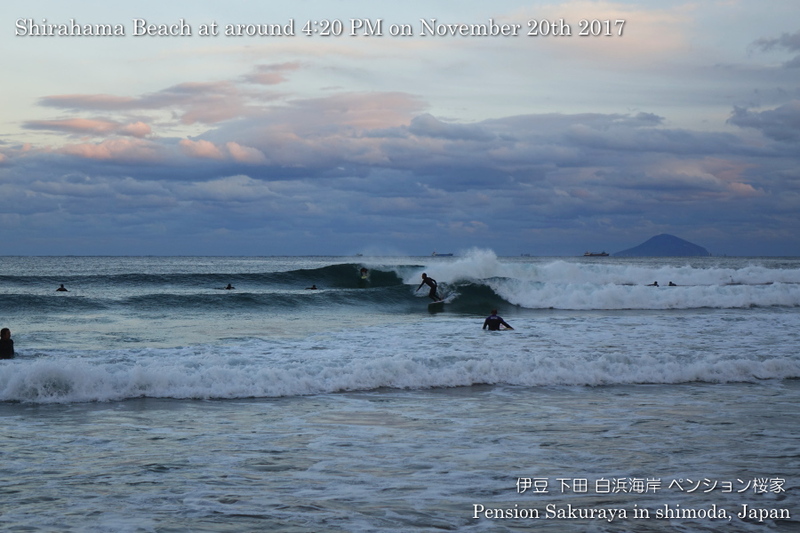 So I went to the beach again at twilight time. 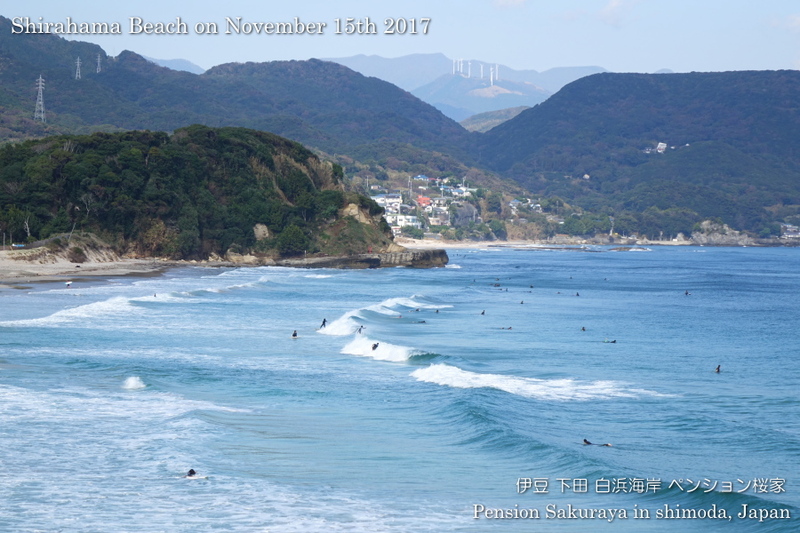 There were still a lot of surfers because they had good waves at that time. 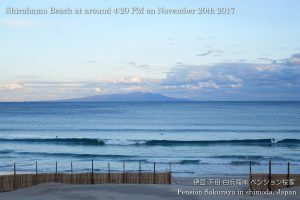 This entry was posted in beach, nature on 2017年11月20日 by izusakuraya. 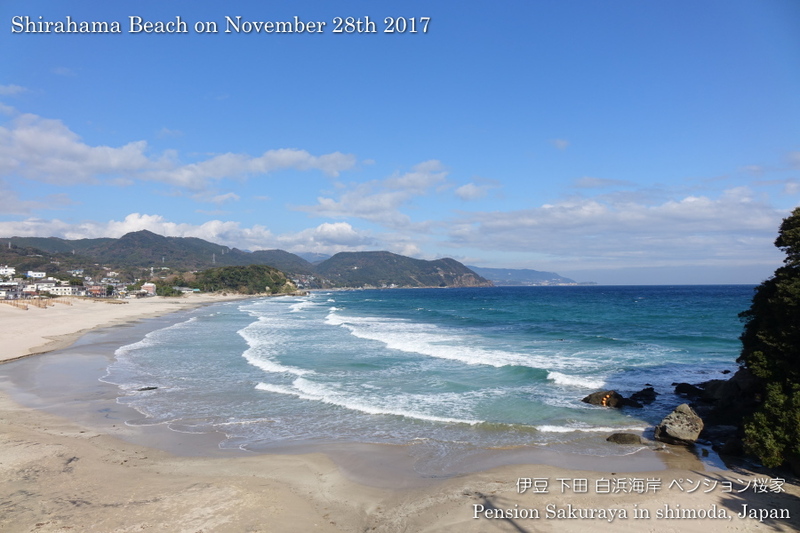 I took a Nordic walking to Sotoura beach this afternoon after a long time. 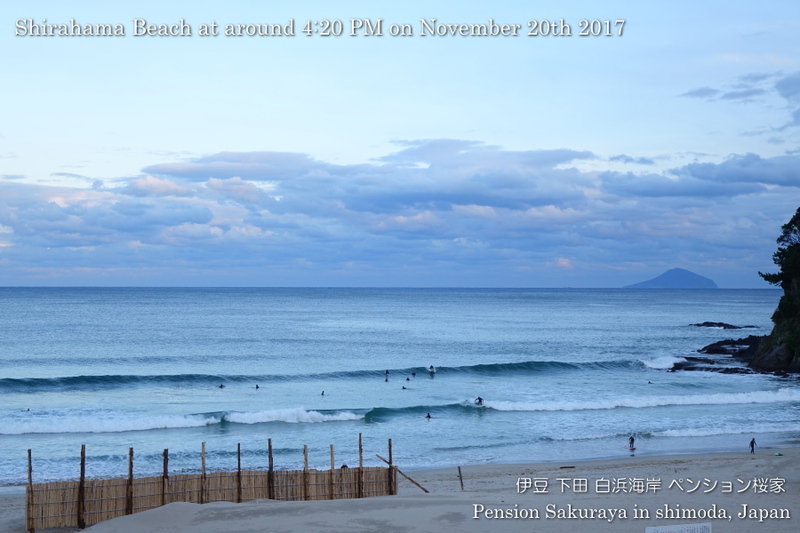 And I took the 1st picture on the way to the nearest beach. I was able to see Izu Oshima island clearly today. We had rain yesterday, but always have the big waves after the law pressure system passed in this season. 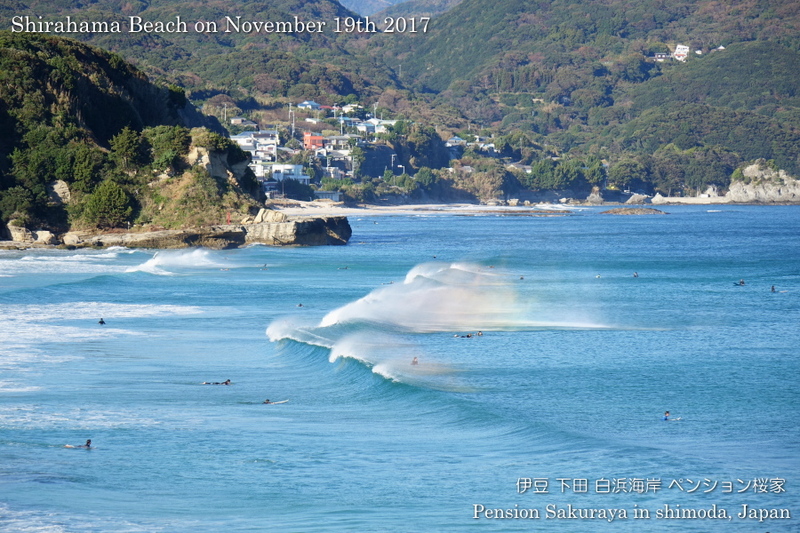 And we are able to see the rainbow on the water when we have both waves and west wind. This entry was posted in beach, nature on 2017年11月19日 by izusakuraya. 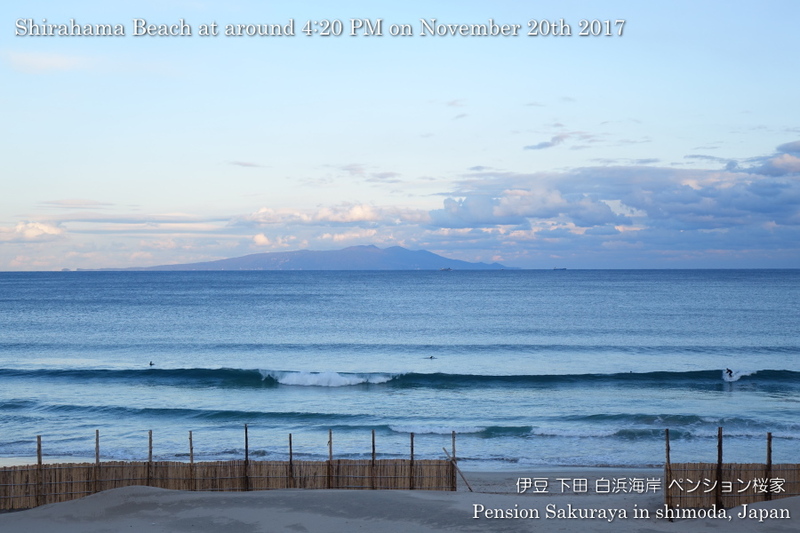 It was sunny but the north-east wind was a little cold today. 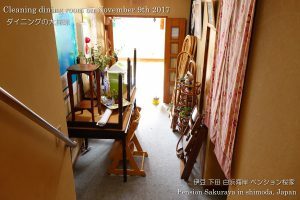 I cleaned up the entrance and the stairs of our building. I’m very happy to see them after cleaning. 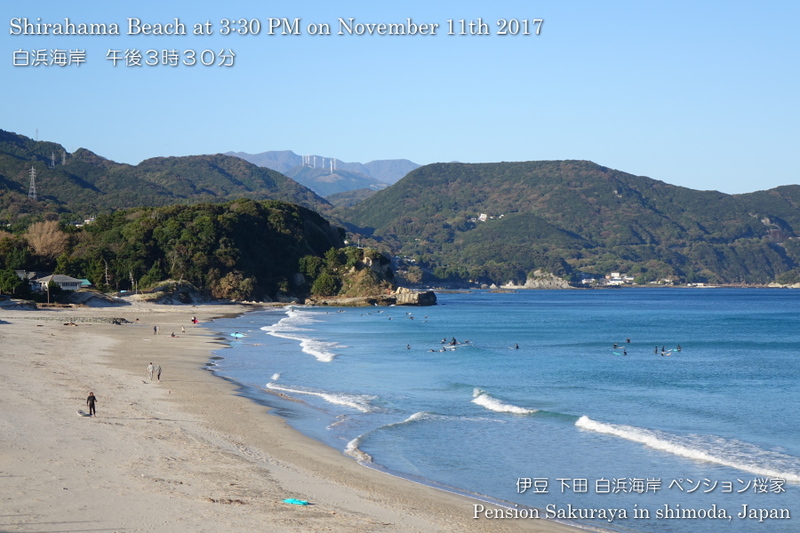 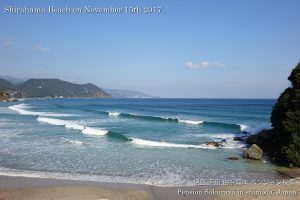 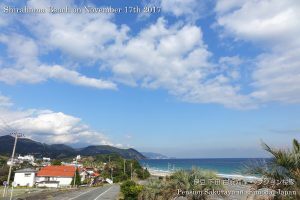 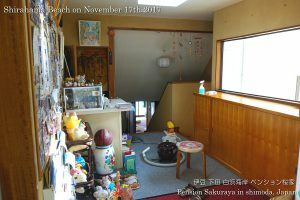 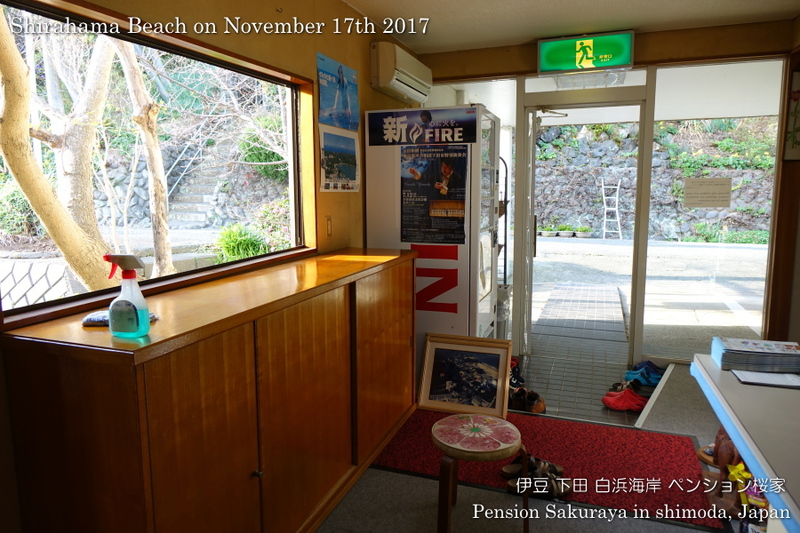 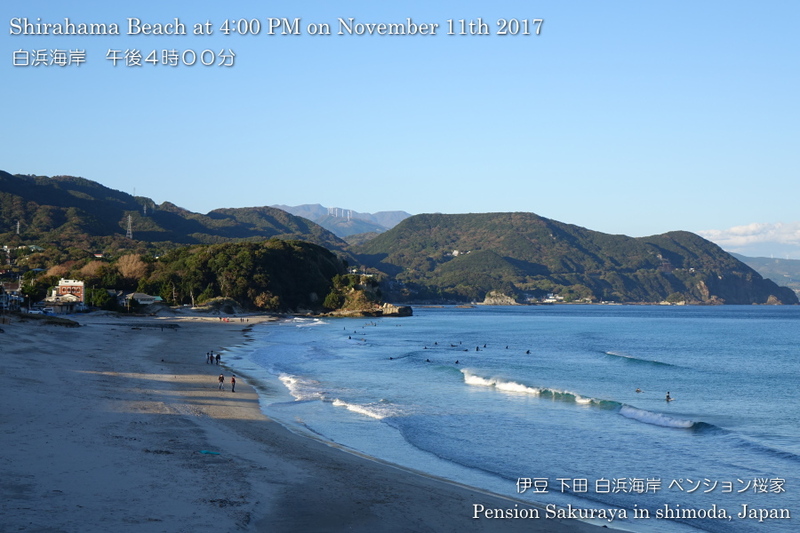 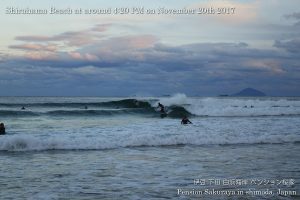 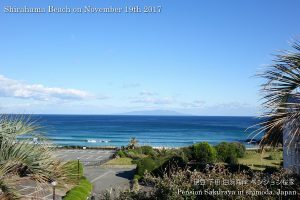 This entry was posted in beach, Pension Sakuraya on 2017年11月17日 by izusakuraya. 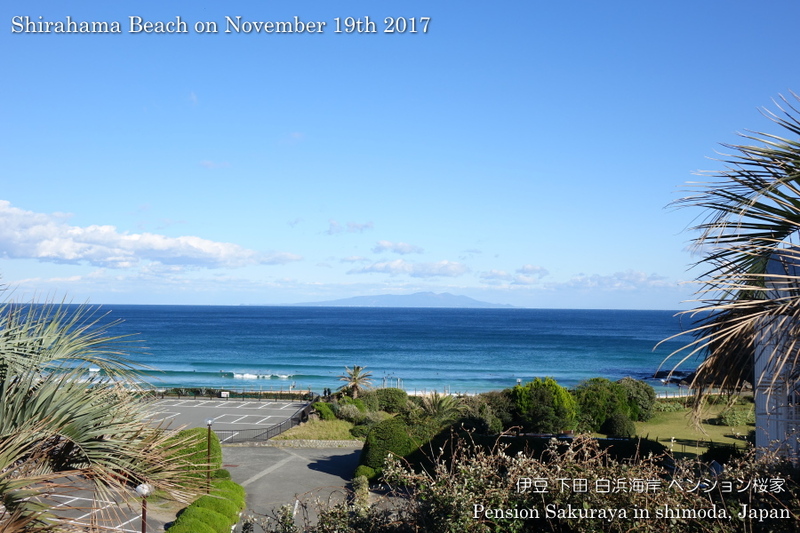 We had a little cold west wind, but it was very warm here in Shirahama today. I walked on the seaside road this early afternoon. 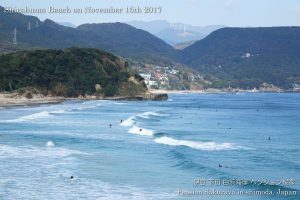 It was good condition to surf today because they had waves and west wind. 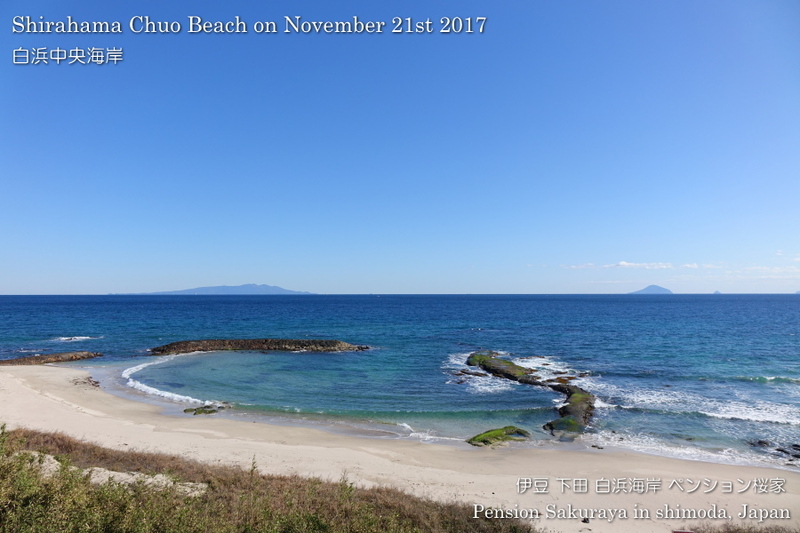 This entry was posted in beach on 2017年11月15日 by izusakuraya. 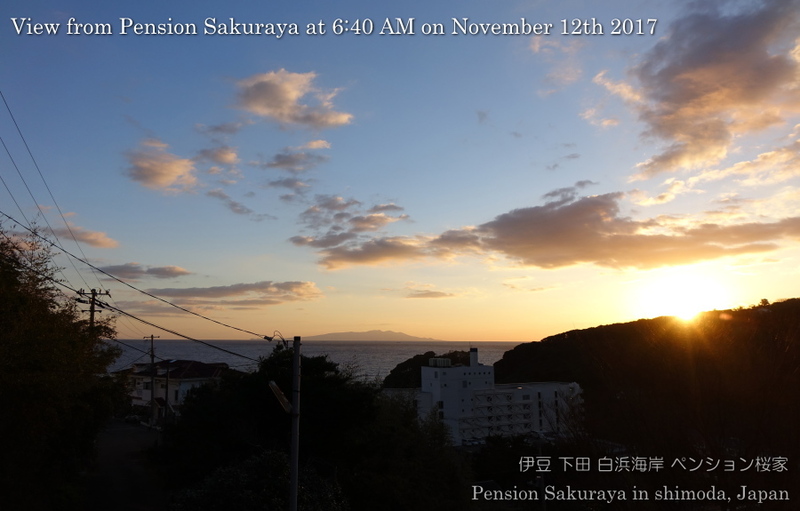 When I woke up this morning the sun was just rising. So I went up to the upper floor and took a picture. I went to Ito city for shopping with my wife and son by car today. 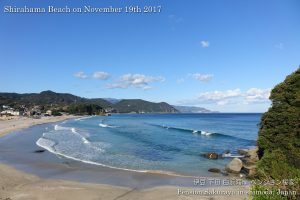 I took the second picture on the way to Ito city. 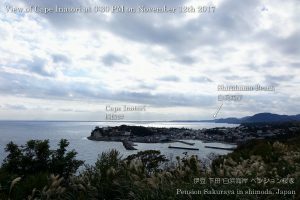 This entry was posted in nature, Sea on 2017年11月12日 by izusakuraya. 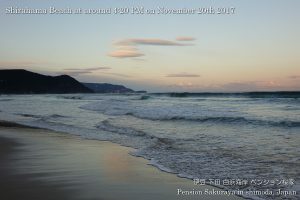 I walked on the seaside road to Sotoura beach after a long time this late afternoon. Even it was only 4:00 PM the beach was covered with the shadow. 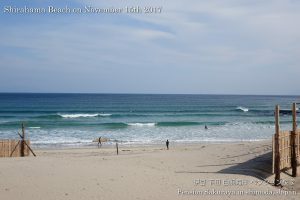 In this season it’s really much earlier to get dark than summer. 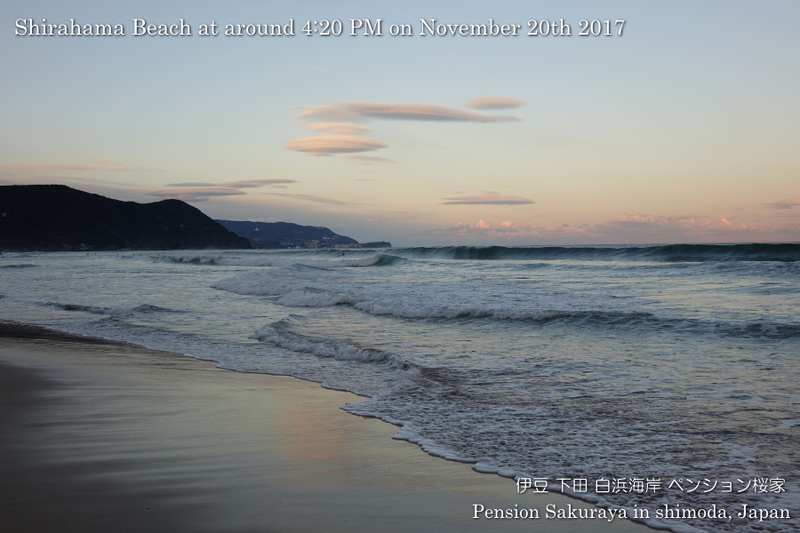 This entry was posted in beach, nature on 2017年11月11日 by izusakuraya. I finished waxing the floor of dining room today. 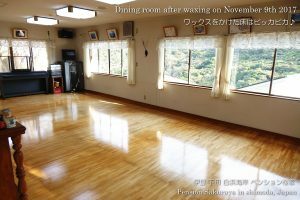 It’s a little hard to move everything out of the room to wax. 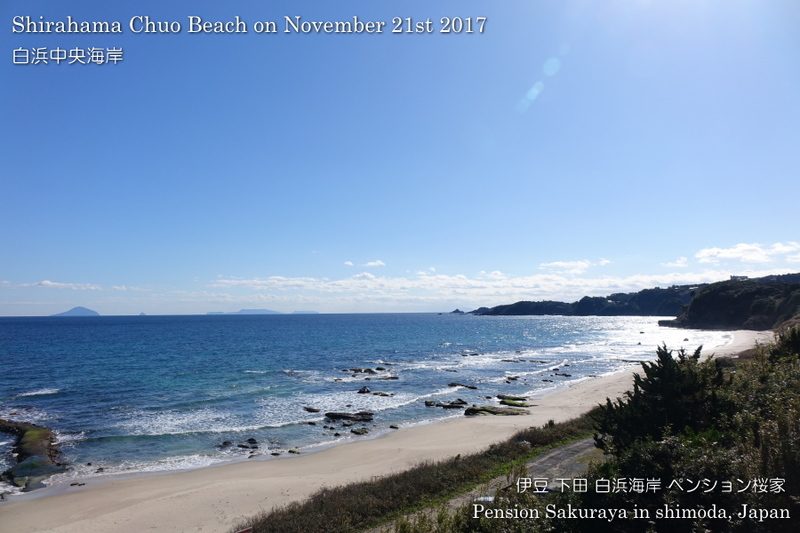 By the way the weather forecast said we would have cold wind today, but actually it was not so cold. After I finished waxing we were able to see the beautiful sunset. 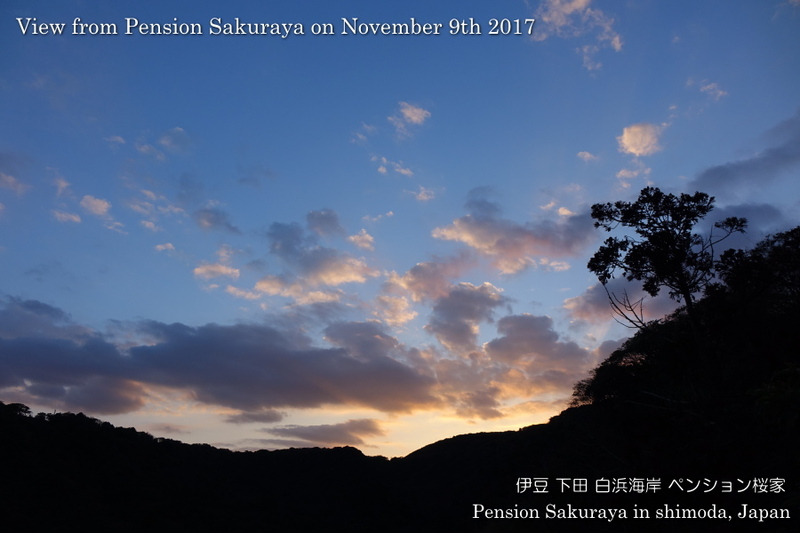 This entry was posted in nature, Pension Sakuraya on 2017年11月9日 by izusakuraya. 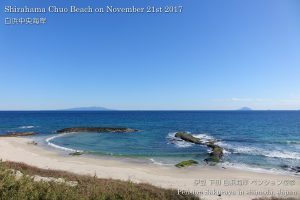 It was cloudy and we had a little shower here in Shirahama today. 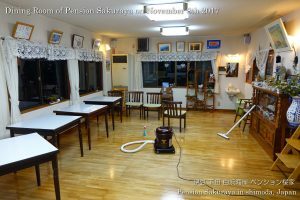 As I finished cleaning the bed rooms yesterday I started to clean the dining room this afternoon. 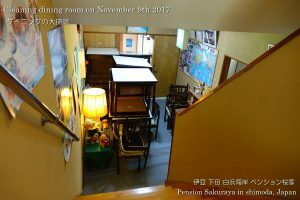 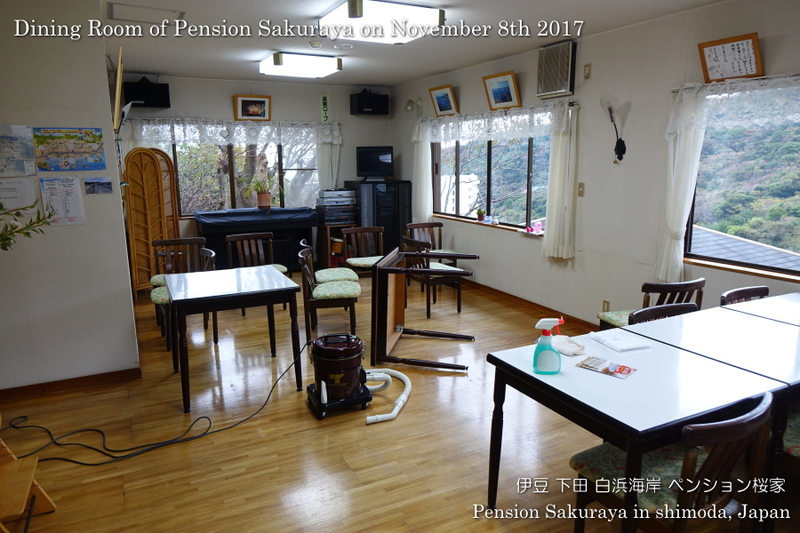 This entry was posted in Pension Sakuraya on 2017年11月8日 by izusakuraya.